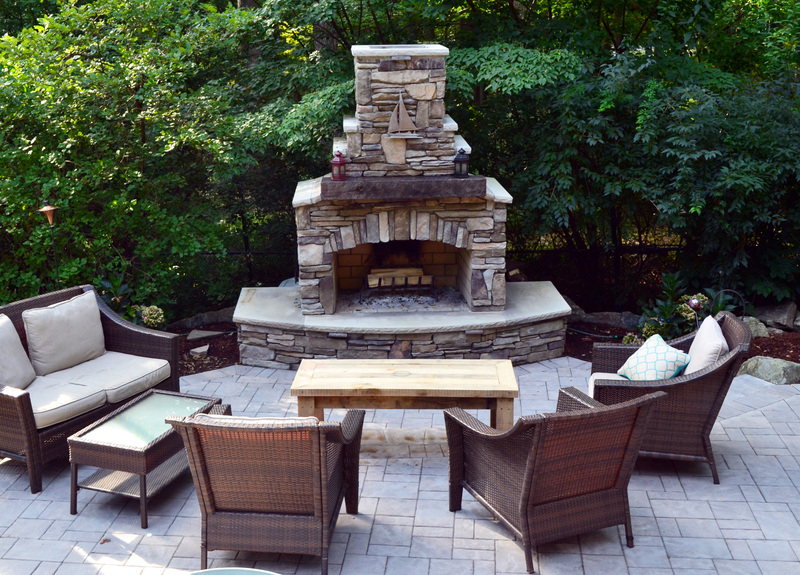 In a woodland setting in rural Morristown New Jersey, this spring we completed a gorgeous outdoor rustic fireplace. 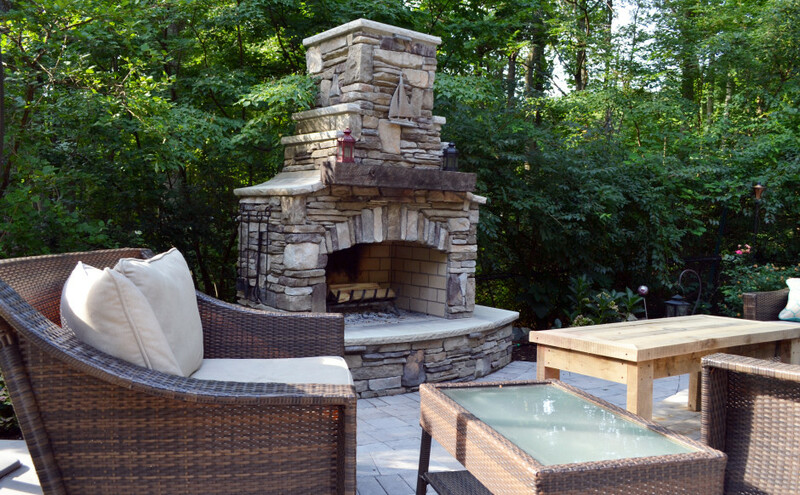 The fireplace sits eight foot tall and the ten foot wide hearth grounds the structure beautifully. 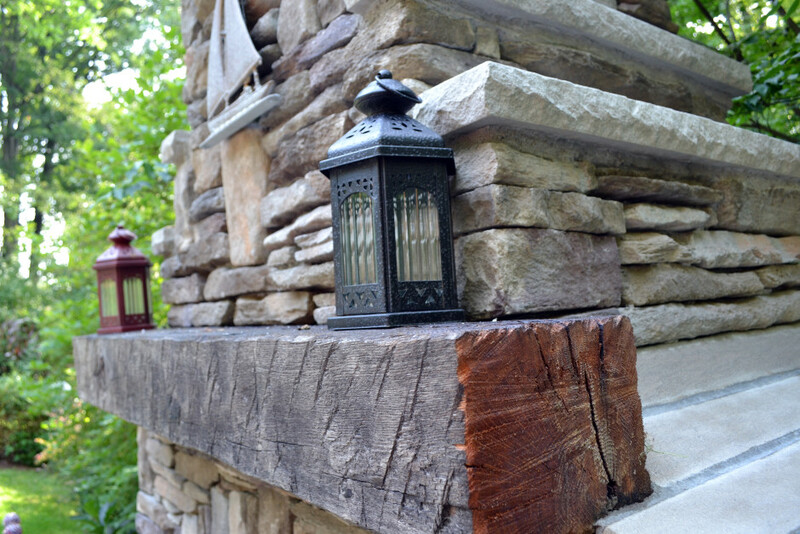 A wood mantle added a weathered look to the fireplace.